Double H Agency > News > S4 Jackets SS19, PURE UNDERSTATEMENT AT THE HIGHEST LEVEL. 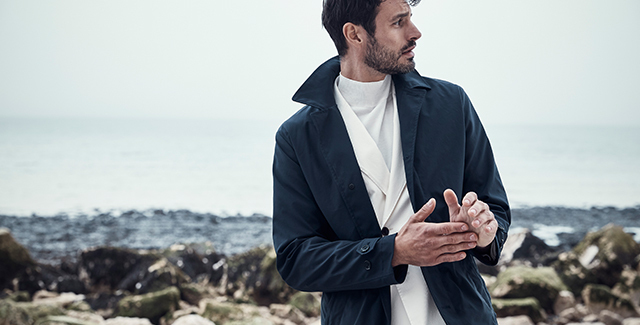 The S4 Jackets SS19 collection proves once again that the perfect outfit for a man is characterised by one thing: it speaks for itself. Self-confidence, style, smartness and a certain kind of sportiness. Those are the qualities of the S4 Jackets philosophy that make men 100% men. There’s no question that an outfit that fulfills these qualities needs no words. It speaks for itself – exactly like the man who wears it. But here are a few upfront facts about the S4 Jackets SS19collection. The bomber jacket is the central piece of the collection. Long coats – also with belts – are coming. And the field jacket is making a comeback. Parkas are getting longer and more voluminous. Practical designs from the active sports branch are translated into city styles. There will be colour blocking. But also neutral, natural shades will bring sartorial impressions. Sporty purism is generated by brilliant colours. The lightness of the fabrics is essential. There will be functional cottons and synthetics – each with a natural feel – and textures with 3D effects. Fabrics will be available in melange and in fine-line checks. Plain colours are pepped up with animated surfaces and textures. Shadow prints and two-tone effects are also a part of this season’s collection. Meanwhile, the function of shape and fabric never goes out of sight. Straightforward details that make a statement; pocket proportions that have been re-imagined. Sporty elements like cords, eyelets, and tapes are subtly set in the foreground. Tonal prints create interesting accents. 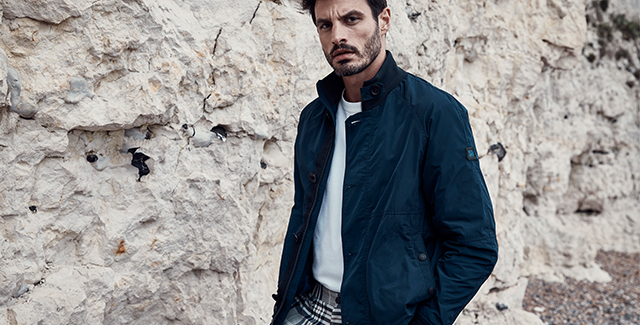 A glance at the collection is enough to see that even the newest shapes, colours, fabrics and details are in line with our very own S4 Jackets philosophy. He who wears the perfect outfit has said everything already. When is a man a man? When he can feel 100% like a man. This challenge is our guiding principle. They say that clothes make the man, but that’s not true. S4 Jackets does that. All thanks to one simple formula – the four big Ss for men: self-confidence, style, smartness and a certain kind of sportiness. Together these create a 100% man. Because of this, we’ve designed, developed and produced fashion and styles in which men come into their own. For different ways of life. From cosmopolitan elegance to sporty chic. From the office to the bar. Perfectly tailored to men’s needs from the very beginning. With every piece. In every fiber. If you would like to book an appointment for S4 Jackets SS19 contact Marc Querol at marc@doublehagency.com to discover the new collection in London.